Move over Touch ID! Tapdo is a wearable fingerprint sensor that lets you map a variety of shortcuts for your different smart devices to various parts of your hand. Here’s how it works. Unless you’re a few years behind in upgrading your smartphone, chances are that you’ve used a fingerprint sensor. If you have, then you’ll no doubt have had the revelation about how much quicker it is than tapping in a PIN code or password to unlock your device or purchase an item. 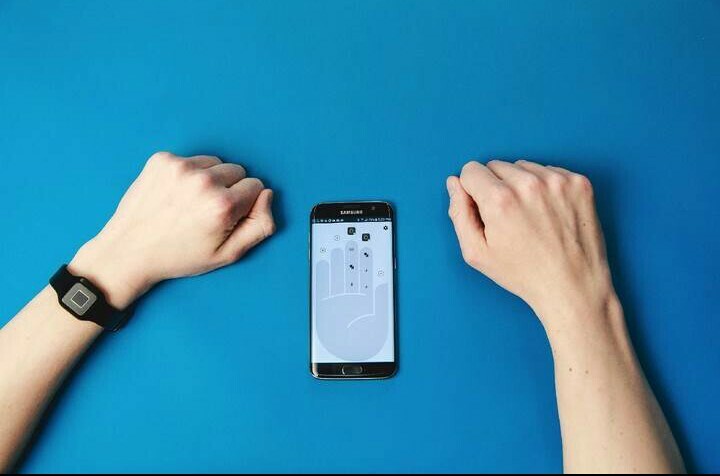 While it’s possible to get your iPhone or Samsung Galaxy to recognize different fingers to carry out the same task, a neat new piece of hardware wants to take things up a level. Called Tapdo, it’s a wearable fingerprint reader that lets you map a variety of shortcuts for your different smart devices to various parts of your hand. For exmaple, imagine controlling your smart home by manipulating, say, your Philips Hue Lights with one finger, your music player with another, and your smart lock with another. In all, there are about 20 functions available, along with IFTTT integration. Sure, it’ll take a bit of memorization if you’re mapping the maximum number of shortcuts to your hand, but it’s certainly a smart concept — provided the touch sensor works as well as more established offerings. The Tapdo button connects to both Android and iOS mobile devices, via Bluetooth LE. Like the fingerprint sensors you’re used to, it boasts haptic feedback to let you know of successful or unsuccessful attempts at reading biometrics — but unlike the fingerprint sensors you’ll have used previously, it is worn in the form of a wristband or as a clipped-on button. The $100 price tag includes a wristband and clip for the button. Now you just need to remember which finger part you set up for PayPal authentication.